KITS > Dimensions Kit 80" x 80"
Dimensions Kit 80" x 80"
This beautiful quilt kit features Kinkame Shades ombre fabrics. Each block uses one ombre fabric and one solid background, giving you a range of color changes just by cutting your strips as you normally would for any other quilt. But thanks to the gradual color change, you look like a fabric selection rock star. 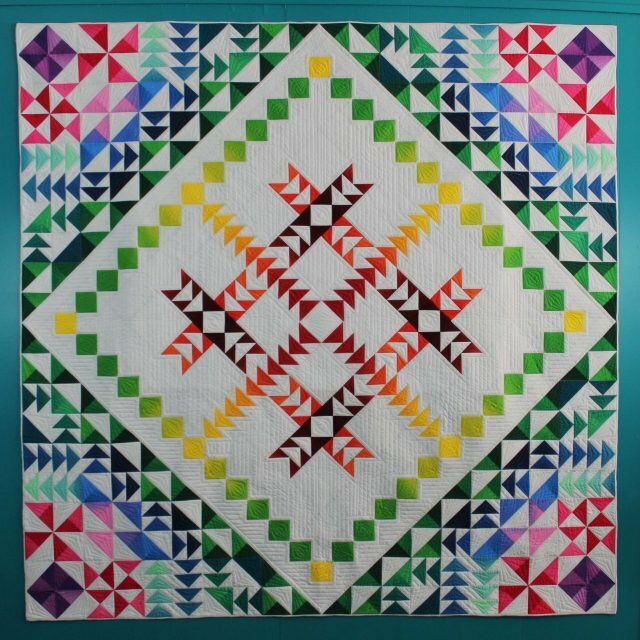 This design is made entirely of half square triangles, quarter square triangles and flying geese, making it appropriate for a confident beginner. The book includes full color step-by-step instructions from cutting through final quilt assembly. The finished quilt measures approximately 80" x 80".